Must be the hot/wet weather but recently the mice have been very active around (and in!) the house. 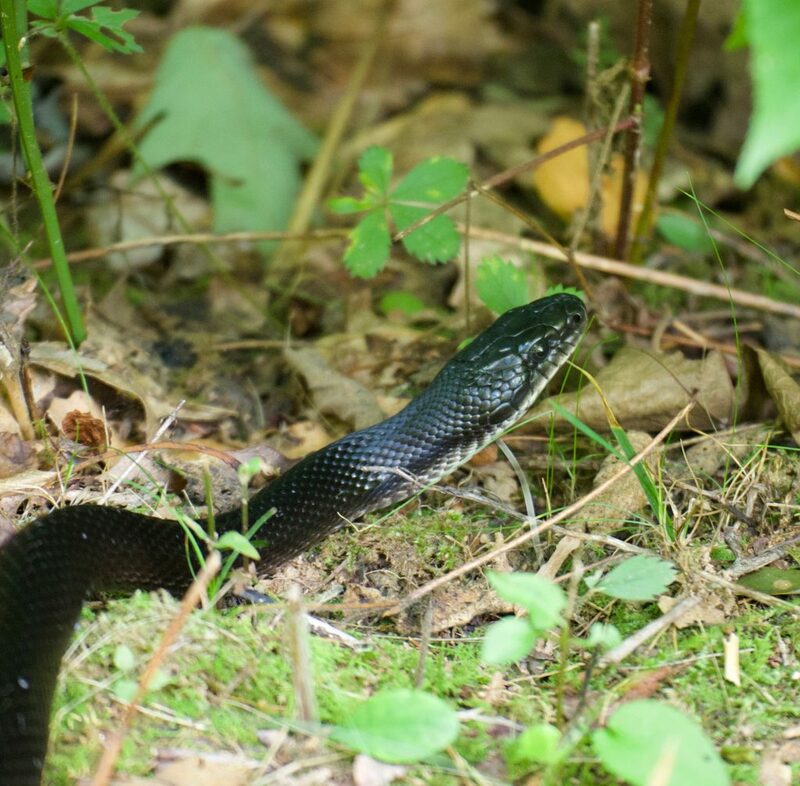 May be coincidental, but after putting traps out and tossing a victim into the woods behind the house this morning, here comes Mr. Rat Snake (Pantherophis obsoletus). 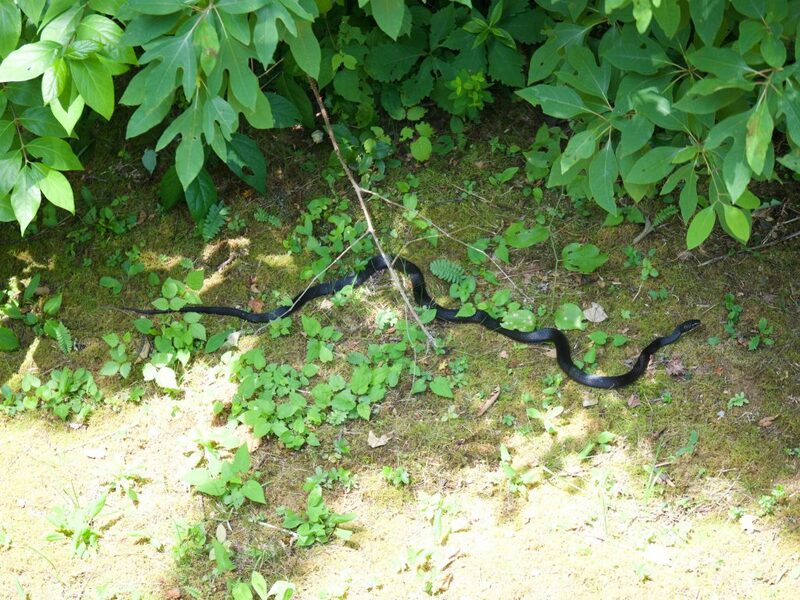 About 4 feet long and very docile. I was able to get very close and snap some photos and even gave him a gentle touch to let him know he can eat all the mice he finds. Just stay away from bird nests!